Read | I've started getting in to the Christmas spirit with my reading material of late. I'm not reading only Christmas oriented books, but I am mingling seasonal reads with the other books on my shelves. As well as sharing my photography here, I do also blog elsewhere hosting a book blog, and so getting ahead on Christmas reads is great for recommendations and reviews over there. Watched | Saving Mr Banks - I've wanted to watch this film since the release and it did not disappoint. In the way of TV, I started watching a BBC drama, Cuffs. If you enjoy police shows and are able to access this particular series I'd highly recommend it; it only gets better each week. Celebrated | Our toddler's second birthday. As far as birthdays go, we keep it pretty low key. We spend it together as a family, with the person who is celebrating their birthday having picked a place for us to go to. Because our toddler can't really communicate, he can't express where he'd like to go so me and daddy opted to go to our local soft play area taking along a couple of younger family members to enjoy the place with. Overall it was a really lovely day spent in the company of family. Even the torrential downpour didn't dampen the birthday spirits! Photographed | Not a lot in all honesty. The weather we've been experiencing throughout the month of November - strong winds, brisk chills and plenty of rainfall - don't make the best conditions to be dilly dallying about photographing the landscape. When venturing out we've stayed on course from A to B, I've struggled with keeping a hood up battling the elements, and checking multiple times that the little one still has both wellington boots on! 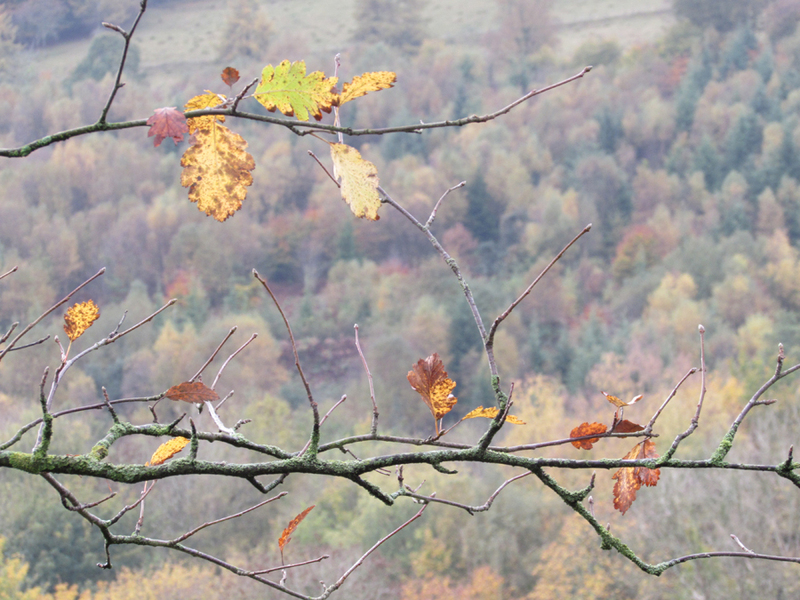 Blogged | Captured By Jade has been full of autumnal content this month, understandably so. I shared five things I associate with autumn as well as some pictures of the valley hills during this time of year. Transitioned | Our toddler has made the leap from cot to 'big boy bed' this month. Gone are the sides of the cot and replaced by a little side rail. I was apprehensive about this shift initially, thinking the temptation of his toys was enough for him to try and clamber out, but all has gone smoothly and I'm one proud mummy. Downsized | We've been doing a lot of clearing out in our household this month. We live in a small cottage, which means minimal storage, and any space we do have being precious. Sometimes it's hard to declutter and rid yourself of belongings, but I'm big on decluttering and generally have them every couple of months or so. The amount of items you amass with a child is pretty insane! Decorated | Our Christmas tree! We didn't do this crazy early or anything - our neighbours have had their Christmas decorations up since the start of the month! The tree went up on the 29th, as it's a tradition of ours to have the tree up for the 1st of December. Christmas tree decorating is definitely a family affair and so for us that meant doing it on the closest weekend to the date of the 1st. How did November treat you? This year I enjoyed November very much; it was dark but warm and tender. The photo is really beautiful. A few leaves still hanging on there!